I’m currently the Editor In Chief of BlackSci-Fi.com, and also a contributing writer. The website provides a voice for a segment of science fiction/ fantasy/ speculative fiction creators and fandom that quite simply is never given the focus that it deserves. My articles with the website can be found here. 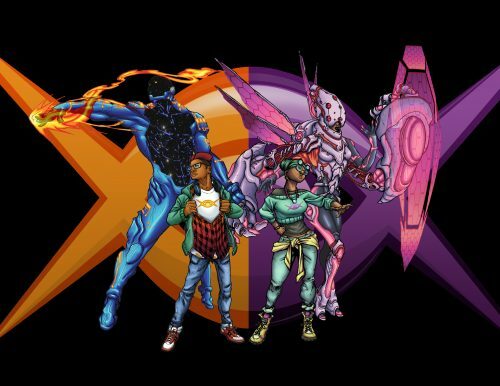 “Black Sci-Fi.com is the premier site for the latest updates on Sci-Fi, Sci-Fact and Fantasy entertainment, news, people, places, and events and the measure of their impact on the African-American community. For the past two years I’ve had the awesome fortune to be a contributing blogger for the creative community known as the Tessera Guild. You can find my posts here. I try to blog on a bi-weekly basis so definitely stay tuned. 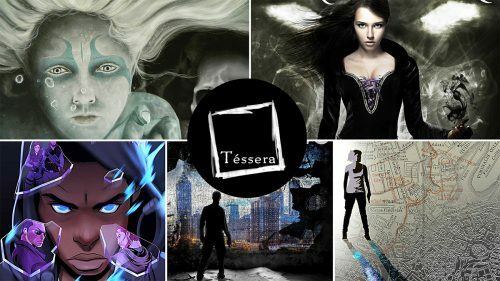 “Tessera is the Breakfast Club, the Goonies, and the White Council all wrapped into one juicy, creative enchilada. If you’re wondering what Tessera means, look it up. It’s Greek. Old Greek. We’re a mosaic of five, a guild, a small collective, but a nation unto ourselves. We like to write…and draw…and paint…and write some more. We take our work seriously. That’s why we’re here. A sampling of some of the great offerings from the Tessera Guild members, Amanda Makepeace, John Robert McGuire, J Edward Neill, myself, and Chad J Shonk.